Mindfulness Space offers in-house experiential mindfulness training for staff development days. Your staff will learn practical mindfulness skills and techniques to help them navigate stress and bolster emotional resilience. After each session, employees feel energised and purposeful. Taking a break from the everyday to reflect on their own development and wellbeing helps invigorate your employees’ work and community spirit. Sessions can be included as individual or team development programs, or as one-off events. How can employees benefit from corporate mindfulness training? Employees who feel connected to their work and their teams are happier and more productive. Self-awareness helps foster connection and patience with others who may also be going through stress. How can mindfulness training help teams who depend on each other? A well-performing team lifts other teams. A focused and relaxed approach to challenges is contagious. Employees often look to other teams for how they are dealing with change. How do workplaces benefit from mindfulness training for employees? A successful workplace is one in which the culture remains stable despite inevitable changes. 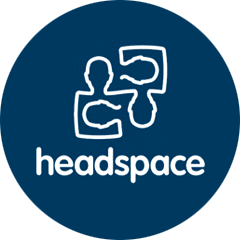 Mindfulness Space offer one-off workshops (either one or two-hours long), or a program of one hour per week for four weeks. Everyone from leadership teams to individual team members can benefit from the training. For more information on how corporate mindfulness training can help your organisation, call us on (02) 8090 7184 or contact us.